When it comes to a skincare routine, normally I have at least 6 steps to complete the whole process, cleansing (sometimes double cleanse), scrub (once a week), toner, mask sheet (once a week), pore strip (once a week), emulsion/ essence/ serum, moisturizer, and lastly eye cream. I bet some of you have more. I've been trying to find a way to simplify these steps because I am a busy mommy. I need to do things quick, but I could not forgo any of the steps as all of them are equally important. 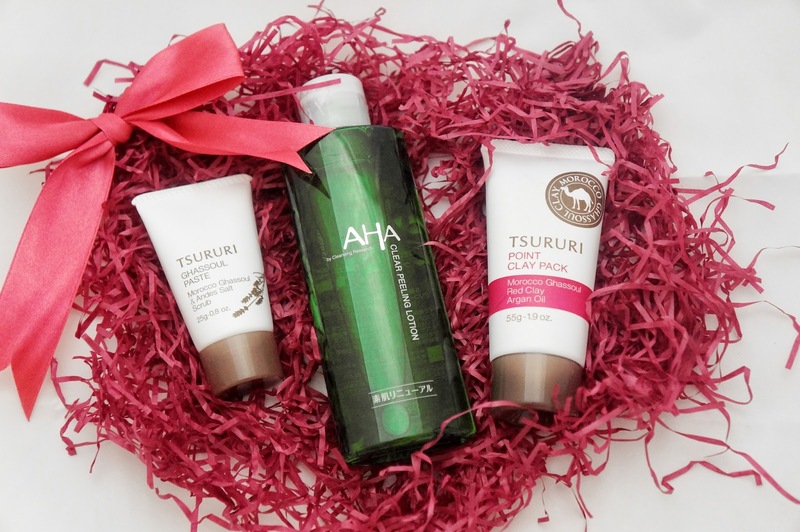 Well, recently I seem to found a way to a simpler life (simpler skincare routine = simpler life!). Let me introduce you the BCL Trio! 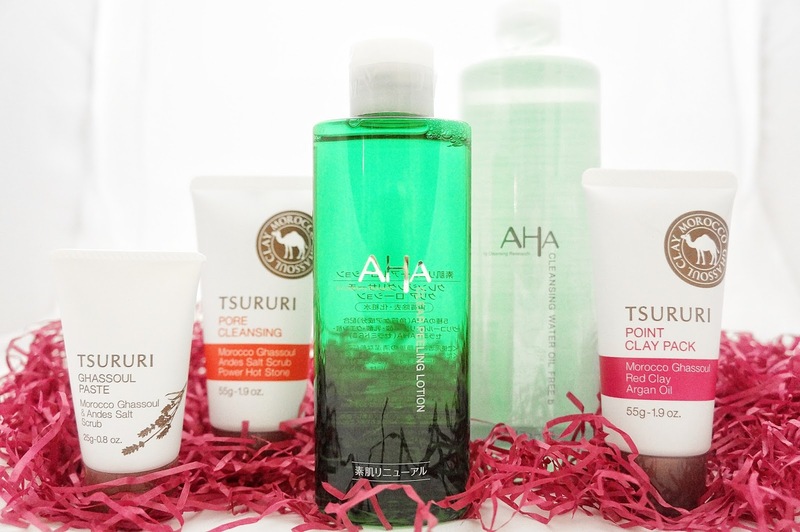 Before I go deep into each product, let's have a short introduction on BCL AHA by Cleansing Research series (CR) and Tsururi Ghassoul Clay series (TGC). CR offers a wide range of cleanser to suit different skin type and usage needs. 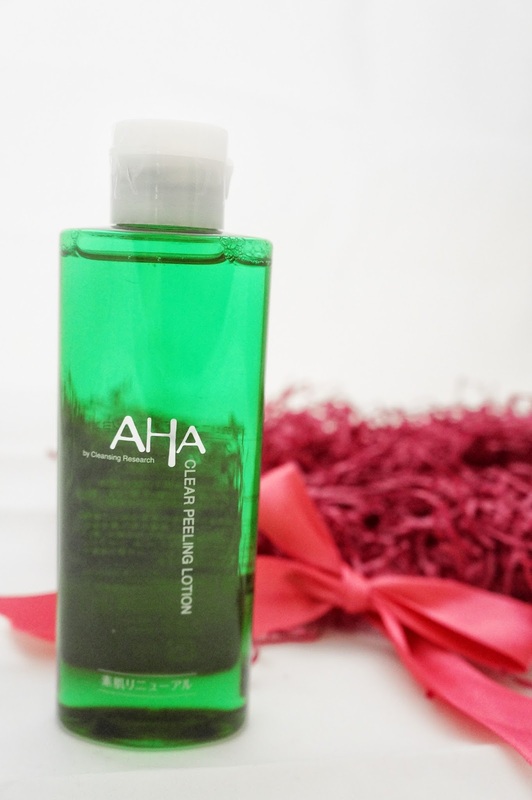 These AHA cleansers provide remarkable surface cleansing power, and deep cleansing keratin care leaving your skin clean, smooth and revitalize. Ghassoul clay is the main ingredient in the TGC series. It is naturally found from ancient deposits deep within the Atlas Mountain in the northeastern region Morocco. Ghassoul clay contains high mineral contents that are beneficial to the skin. It produces strong negative charge and high absorption rate to remove toxins lying under the skin, removes impurities, unblocks pores and stubborn blackheads. It also has antibacterial properties which help to calm the skin. Now, we are done with the introductions, let's move on to the more detail part. 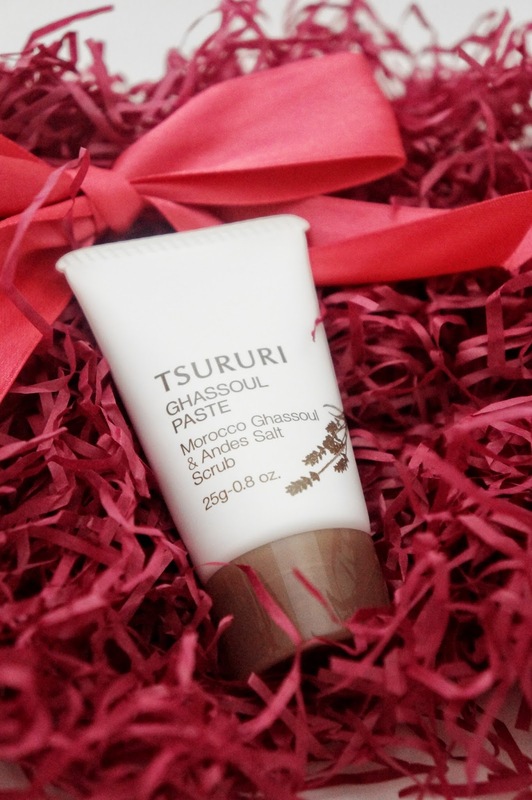 Tsururi Ghassoul paste is a 100% botanical cleanser. It contains Moroccan Lava Clay and Andes Salt that help to get rid of stubborn impurities and blackheads. Did you get that? 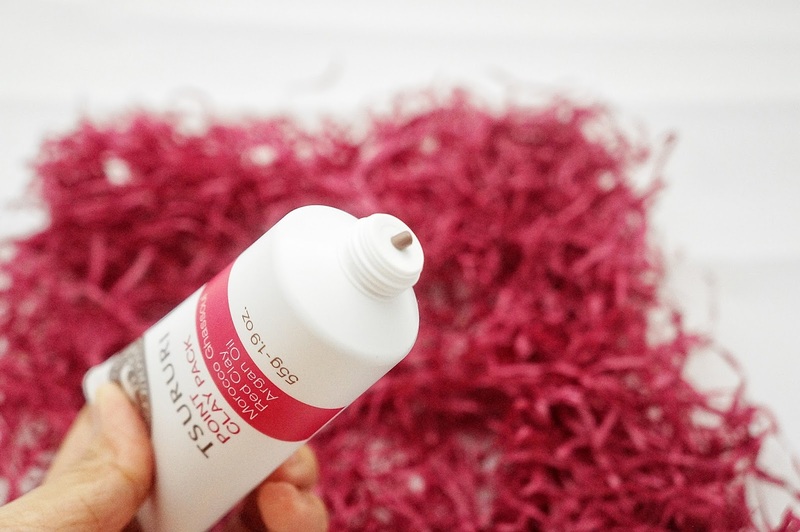 In other words, it functions as a cleanser + scrub (2 skincare steps in 1 product, awesome!). With the blend of 6 types of essential oils such as lavender, lemongrass, and rosemary extract, it also delivers fresh and soothing scents (smells like some refreshing herbs). It is gray in color and has a soft clay texture. It can be used as a cleanser or a cleanser + scrub. For normal cleansing, take a proper amount on palm, add water to lather. Massage over wet face in circular motion and rinse well. For cleanser + scrub, apply a proper amount directly to wet face and massage in a circular motion. Then rinse well. Don't get confused by the name "peeling", it is not at all as harsh as it sounds. This 100% plant base cleansing lotion exfoliates (remove dead skin cells) and moisturizes skin with 5 different AHAs and 3 varieties of moisturizer. It looks like clear water with nice apple smell. It is suitable for normal to oily skin type. After cleansing skin, dispense 3 pumps on a cotton pad and gently swipe on the entire face. For best result, gently press the wet cotton on a problematic area for 30 seconds. This plant based treatment mask contains Moroccan ghassoul lava clay and argan oil. It removes deep clogged pores impurities and excess oil (especially T-zone) but also tones and moisturizes them at the same time. This red-brown clay mask has a very pleasant scent. Use it before basic skincare as the hydrating and toning ingredients prepare skin for a better skincare absorption. Apply the mask over the face avoiding eye and lip area. Rinse it off after 5 minutes using your fingertips. Use it 1-2 times per week for best result. BCL actually carries products that cater to different skin types. If you have sensitive skin, you can consider Cleansing Research Cleansing Water Oil Free b for toner in step 2 instead of peeling lotion. It is a 4-in-1 cleansing water. It is a makeup remover, cleanser, skin treatment, and lotion. 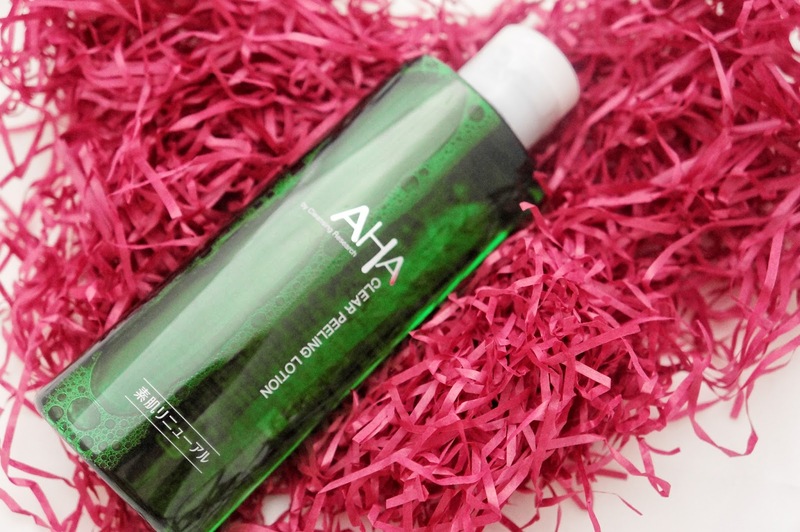 Removing makeup, cleansing face and moisturizing the skin is done with one product! Imagine how much time and money you get to save! It is selling at RM 44.90 for 400ml only. 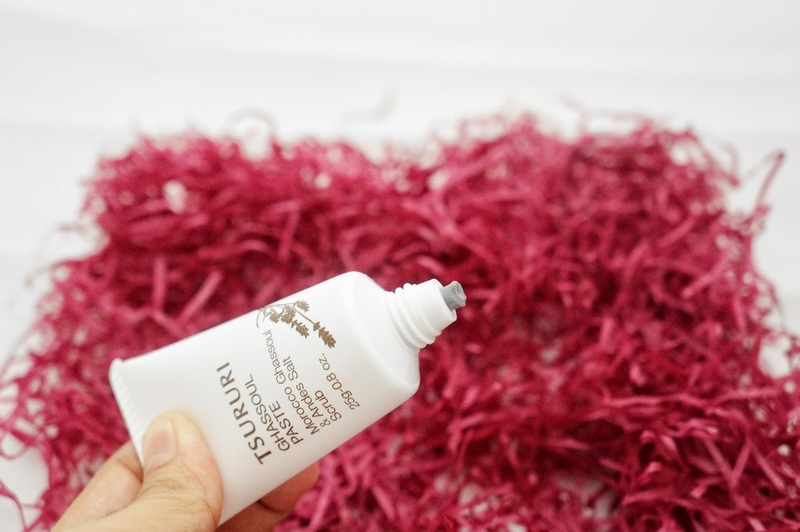 If you prefer to have something interesting, you can try Tsururi Deep Cleansing Cream Ghassoul Power. It contains a warming agent- zeolite power stone. Apply it to T-zone, massage gently for 60 seconds. You will feel a warming sensation because of the zeolite power stones. Rinse well with luke water. It is priced at RM 39.90, 55g. From 6 skincare steps to 3 steps, this is how I steal time from my skincare routine with my BCL family! You should get yours too! BCL products can be found at selected Guardians in Malaysia. More information can be found BCL Facebook. Hi Gabrielle, thank you! Yea,you should try them, it's really good product!